The phasing out of Windows XP, Microsoft is nearing completion. In July 2010, the support for Windows XP with Service Pack 2 stops. 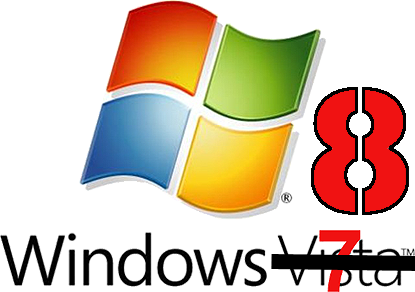 Today Microsoft will stop selling Windows XP to PC manufacturers and the aftermarket sales of Windows Vista. For Windows 7, Microsoft Service Pack 1. This service pack is still in the testing phase and is expected in the first half of next year available. The first update of Windows 7 is the new version of Windows Live Essentials (explore.live.com) became available in mid-June. Furthermore, Microsoft is of course the next version of Windows. But it will take about two years before “Windows 8 ‘on the market. Let’s see what Microsoft has to offer in their new Operating System. I hope Microsoft can carry on the good work that they have done in case of Windows 7.